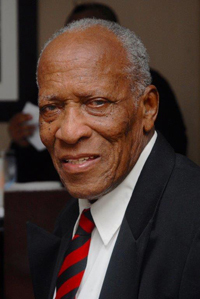 A homegoing service for Mr. Ira Pearman Philip, beloved husband of the Late Ismay Louise Philip, formerly of Sound View Road, Sandys, in his 93rd year, will be held at The Cathedral of The Most Holy Trinity, Church Street, Hamilton on Wednesday 18 April, 2018 at 11.00AM. Interment will follow the service at St. James Cemetery, Somerset Road, Sandys. Relatives and friends may pay their last respects at Pearman Funeral Home on Tuesday, 17 April between 7:30PM and 9:00PM, and on Wednesday 18 April, 2018 at The Cathedral of The Most Holy Trinity Hall from 9:30AM to 10:50AM. He shall be fondly remembered by his Children: Ira [Hillary], Don Quedelle, Braxton, Carlsen, Veronica, Christopher, Anthony [Michele] and Deborah [Joseph]; his only surviving sibling: Ivy Simons; Sister-in-law Marilyn Philip; very special friend Joan Moore; grandchildren: Ira III; Kirby; Don Quedelle Jr.; Odessa [Gerri], Marquedelle [Amie], DonIra, Brian, Marcolliver; Theo, Aurelie, Bradley, Braxton Jr., Arkad; Carlsen II, Cara [Yoni], Antoneika; Antonia; Cordelia [Justin] and Ethan; great-grandchildren: Davonte, Jasmine, Jon, Adesa, Erin, Jerzariah, Jerziyae, Sanaya, Elias; great-great-grandchild: Ria; nephews and nieces including: Eglon Simons, Myra-Lyn and Brandon Wallace, Darlene Philip Payne, Michael and Whalen Darrell, Randall Philip, Sonia Grant, Michelle Simmons [Godchild], Ameenah and Amirah Abdullah, Bakeer Simmons, Marilyn Outerbridge, Mindelle Goater, Eleanor Grant, Mervin Grant, Roma Douglas, Clara Jones, the late Joan Thompson, Yvonne Morton, Linda Paynter, Carol Wade, Hillary, Warren, Morton Williams and their sisters Norma, Lois, Kathleen and Barbara; first cousins, Colin, Roderic, Roland Pearman and Helen Pearman Zaril; Godchildren: Sharon Jones and Christine Brimmer; Carol Philip, Margarita Philip, Josseline Philip and Chrislyn Philip; Joy Bowen, Angie Hney, Theresa Sas-Oforie; related families: the Pearmans, Baileys, Gilberts, Simmons, Baxters, Ratterays, Simons, Jones and other family and friends too numerous to mention. Ira was predeceased by his brothers and sisters Byron, Howard, Aubrey, Erskine, Myra Alice Philip Wallace, and Roselyn Philip Darrell.